A number of classes designed to accelerate and grow the basketball skill set of any player. Whether your basketball player is just getting started on the court or has several years of experience under their belt, a little extra instruction goes a long way. Our team at Hoop Dreams goes above and beyond to help every participant take their game to the next level. Just give us a call and we’ll provide you with further details and costs for our youth basketball skills training programs in Lexington. 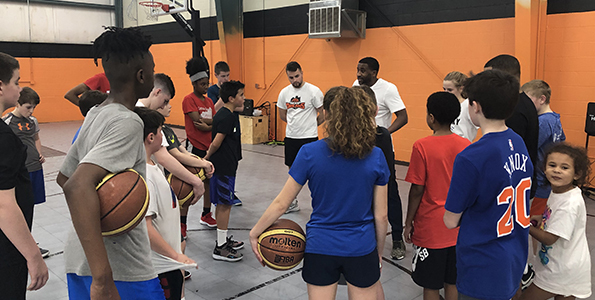 Whether you wish to improve and develop your ball handling, shooting, one-on-one moves, or simply learn how to become a more confident player, Hoop Dreams offers the class for you. 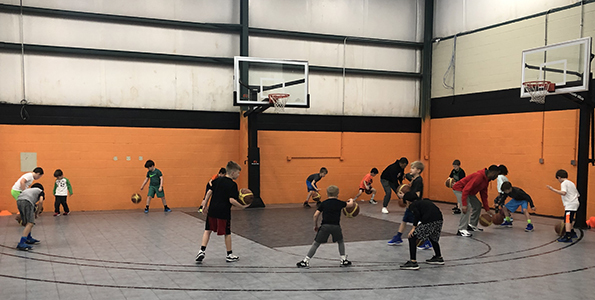 Our youth basketball classes, held weekly at our facility, are original, high-energy, and customized for increases skill development in every facet of the game. 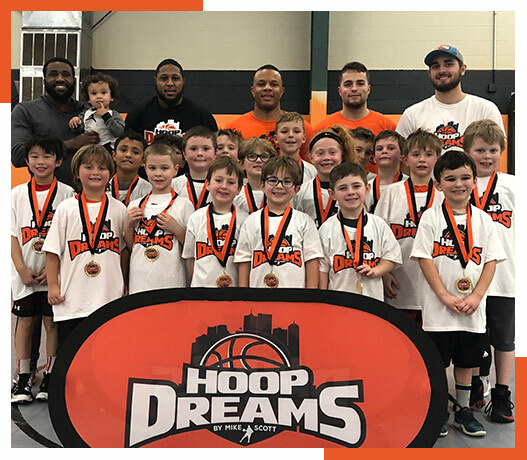 Hoop Dreams offers a variety of classes throughout the week to fit the needs of every participant and trains both boys and girls ages 5 and up. Learn more about our basketball skills training programs below. Our HD Skills Training class is a combination of all fundamental skill work. These classes are strategically designed and planned to strengthen the core concepts of the game: ball-handling, shooting form, footwork, one-on-one moves to the basket, defense, competition, confidence and more. Want to improve your shot? Need help with your form? Want to become a more confident, skilled shooter this season? We offer our Sharp Shooters Training class every Wednesday evening for various skill levels. This class will provide players with detailed instruction, demonstration, and the proper mechanics to become a lights-out shooter. Our Shooting Machine or “The Gun” is often utilized (age appropriately) to build and develop confidence in shooting the ball. Each class will allow players the opportunity to get up a maximum amount of shots in little time. It’s important that your player attends the class that is the best fit for them based on their age, grade level, and basketball experience. We offer four different skill and experience “levels” in our class offerings: Introductory (kindergarten-third grade), Beginner/Intermediate, Intermediate, and Intermediate II. This youth basketball class is Geared toward the true beginner basketball player. Our Introductory program serves players in kindergarten-third grade. Depending on the experience level of the player, our beginner/intermediate class is for players in third grade and above. This class is designed for first-time HD trainees or the new and beginner basketball player. This class is designed for experienced middle school and high school players who are serious about taking their game to the next level. We integrate advanced shooting and ball-handling drills with a high-level speed, agility and conditioning regimen. The program seeks to strengthen core fundamentals and ready players for the rigorous physical demands of the game. Intermediate II is a highly advanced, fast-paced skills class that is unique to those experienced players who have been either training with HD for some time, or who are well-adjusted to the demands and intensity of basketball. Many of the areas of emphasis in Intermediate II require advanced ball-handling skills and fundamental understanding. Please contact us with any questions regarding our Intermediate II class.